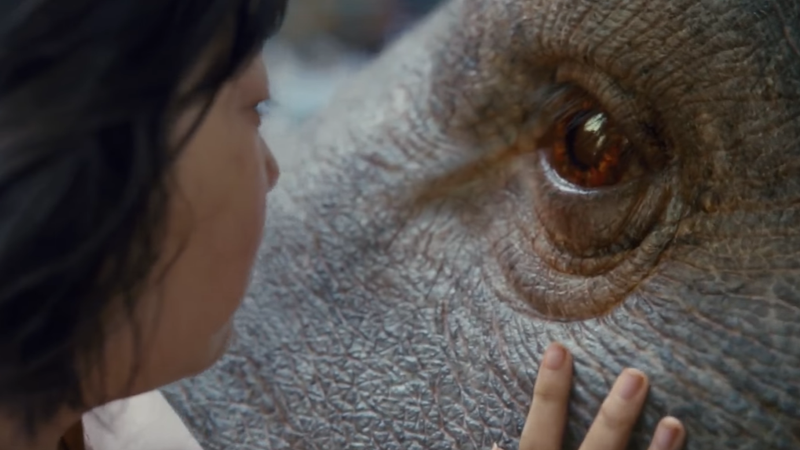 We’ve already had a few glimpses of Okja, Bong Joon-Ho’s first movie since Snowpiercer, about a little Korean girl named Mija (Ahn Seo-hyun), who befriends a monstrous creature that’s being hunted by an evil corporation. But this is the first trailer, which includes Tilda Swinton as a creepy scientist. What could possibly go wrong? Presumably, Swinton’s character, for all her talk of wanting to synthesize “nature and science,” is part of that sinister corporation—and maybe created the creature? Either way, this seems like it’s going to be very different to the darker movies that made Joon-Hoknown in the West, like The Host or Snowpiercer. Okja is due to hit Netflix on June 28.